This 3/4 in lead free thermostatic hot water mixing valve kit is designed for residential, commercial or institutional environments for supplying tempered water. This kit contains a 3/4 in mixing valve, model LLMMV, stainless steel hose, a tee and an elbow. 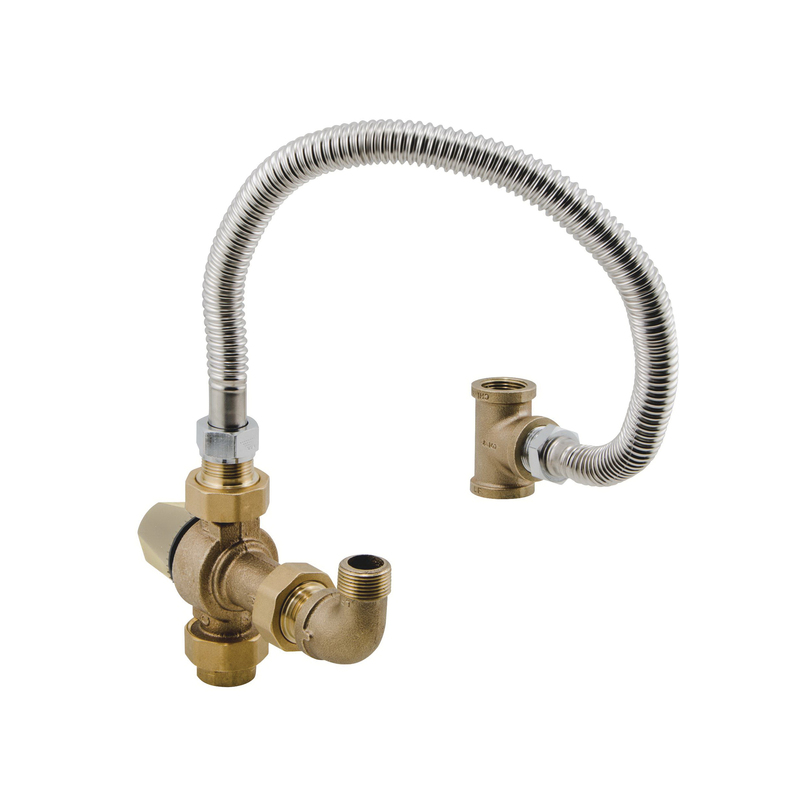 The thermostatic mixing valve consists of a lead free brass body, threaded union connections, solid wax hydraulic principle thermostat, integral filter washers and check valves with a locking mechanism for the temperature setting. The double throttling design controls both hot and cold water supply to the mixed outlet. The adjustable field range temperature at mixed outlet is 80 to 120 deg F. The maximum pressure rating is 150 psi.